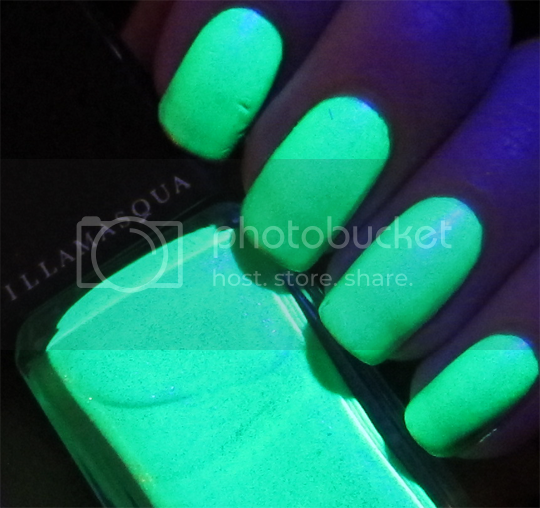 There are three of these ridiculously cool limited edition UV Nail Varnish shades in the collection. This bright green badboy is called Omen, then there’s a pink called Ouija and a purple called Seance, along with a fourth and permanent polish, Geist, which is a clear UV topcoat that promises to give any regular nail polish the crazy appearance you see above. These excite me a lot, and now I definitely want to dance around to Prodigy in a blacklit room. 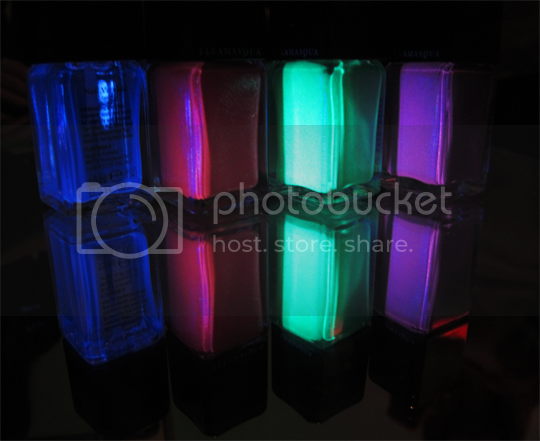 Without a UV light to display all their glory, the UV polishes are still pretty sweet. It’s hard to describe the finish, sort of a flattened shimmer if that makes any sense. See Omen below in normal (artificial) lighting. This is pretty colour accurate. I’ll definitely be posting about both the Hydra Veil and Paranormal Palette as soon as I get hold of them, but I couldn’t resist showing you Illamasqua Omen straight away! I’m not 100% sure of the release date for the Paranormal collection – I think it’s next Tuesday (30th April 2013) but I could be wrong. It’s definitely very soon! 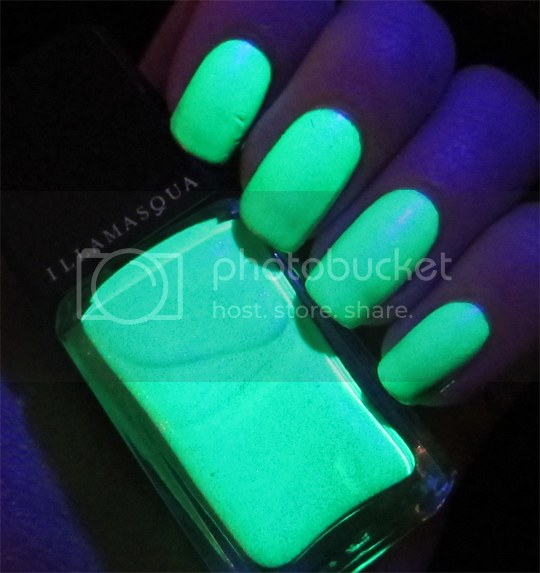 The UV Nail Varnish shades will cost £15 and Geist, the UV top coat will cost £13. P.S. You definitely need to be listening to the below whilst you look at this. Oh wow this is incredible! I can only say… W-O-W.